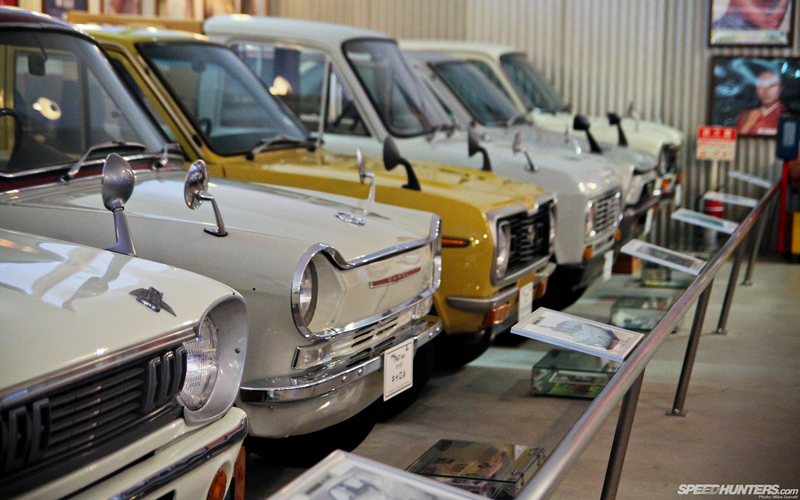 Nestled in the hills of Japan’s scenic Gunma Prefecture lies a car museum unlike any other I’ve ever seen. 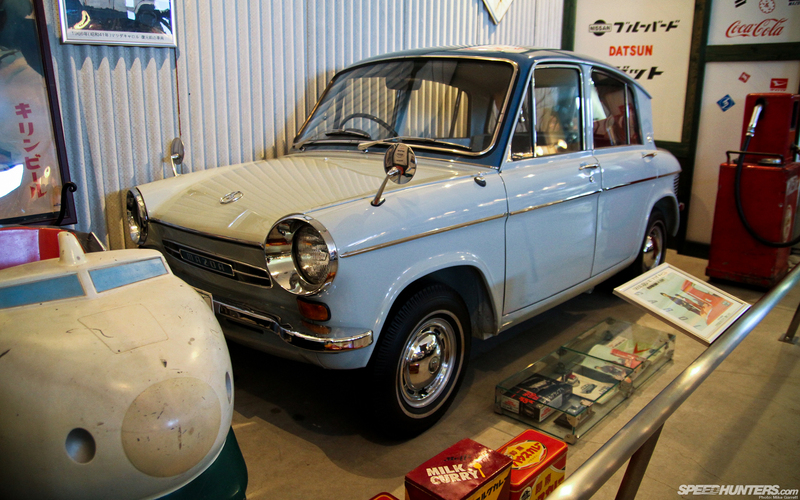 Actually, to even call this place a “car museum” is to understate just what you’ll find here. 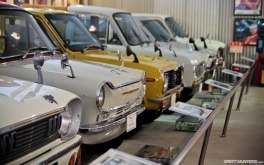 A visit to the M. Yokota Museum is like taking a trip back to a different era, and the exquisite selection of vintage Japanese cars is only one part of the experience. 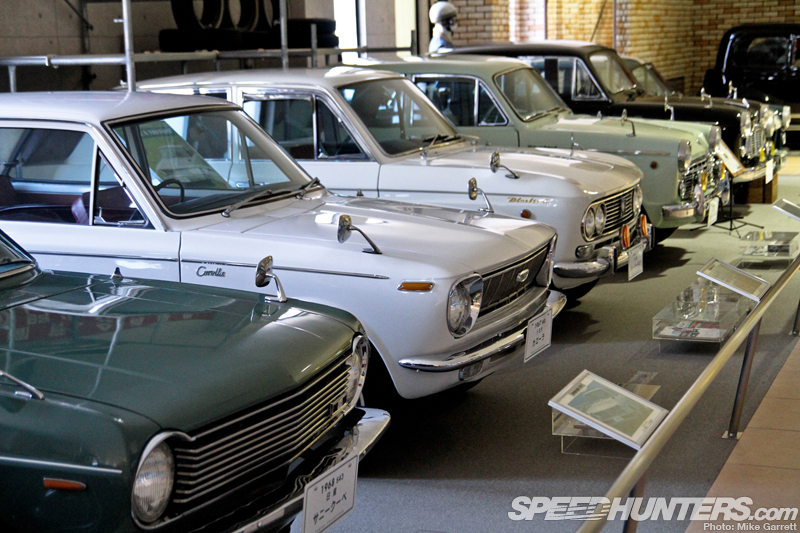 I’d seen snippets about the place online over the years, but on my most recent Japan trip I was determined to see the museum for myself. 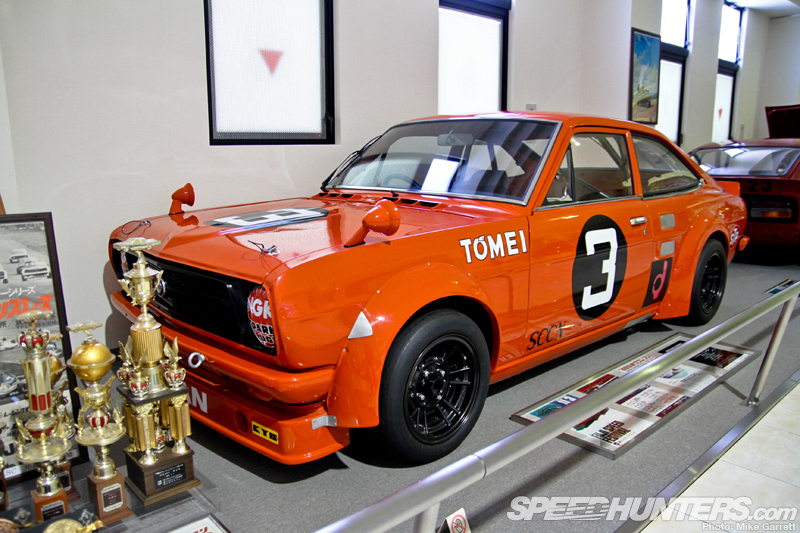 Those images of Yokota’s race car collection alone were enough to put it high on my 2013 winter to-do list. 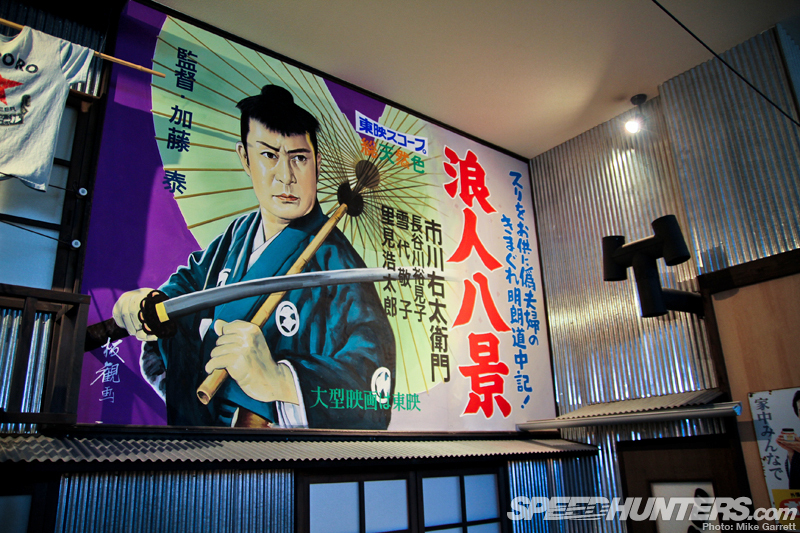 So one morning my wife and I hopped on a train at Tokyo’s Ueno station and made our way out of the city and toward the countryside of Gunma. 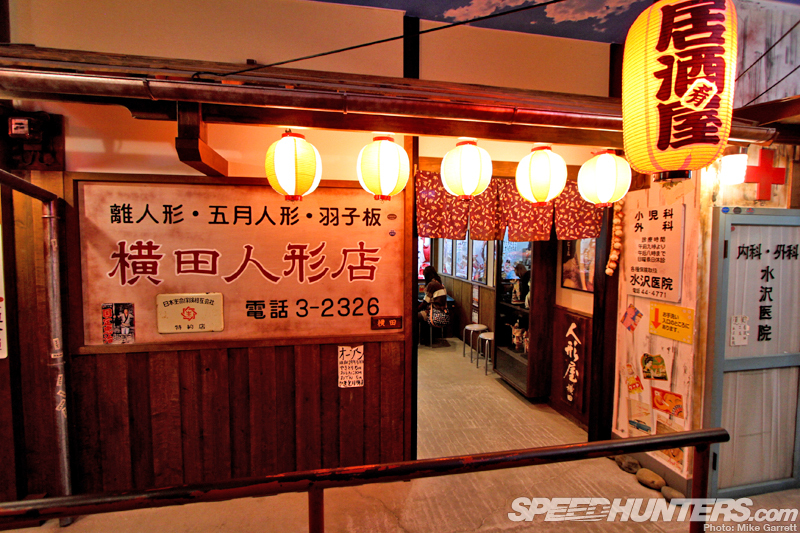 After a two-hour train journey and a short bus ride from the Shibukawa station, we arrived at the destination. 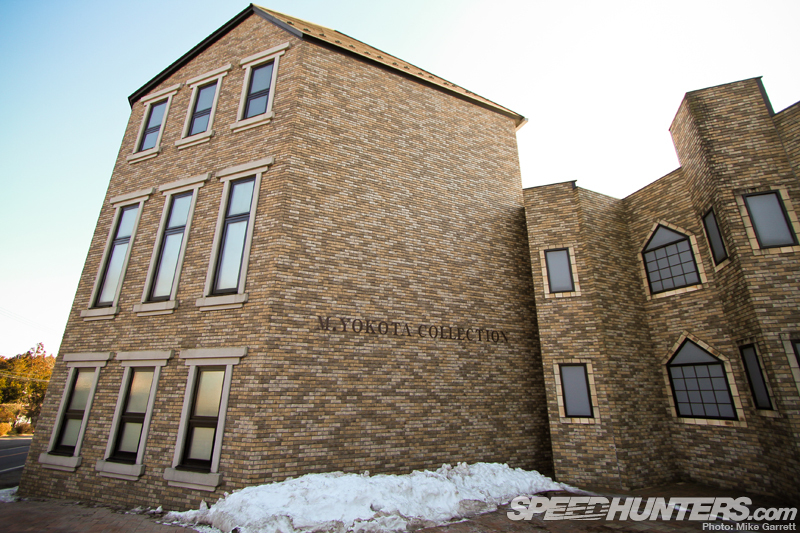 The building’s architecture was interesting to say the least. 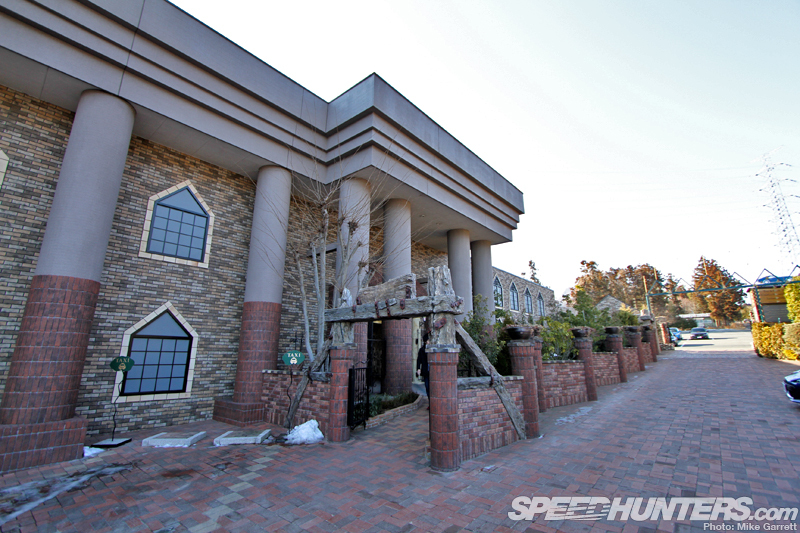 It’s certainly not something you expect to see on the side of a road in rural Japan. But enough about the outside. It’s what’s inside that counts, right? 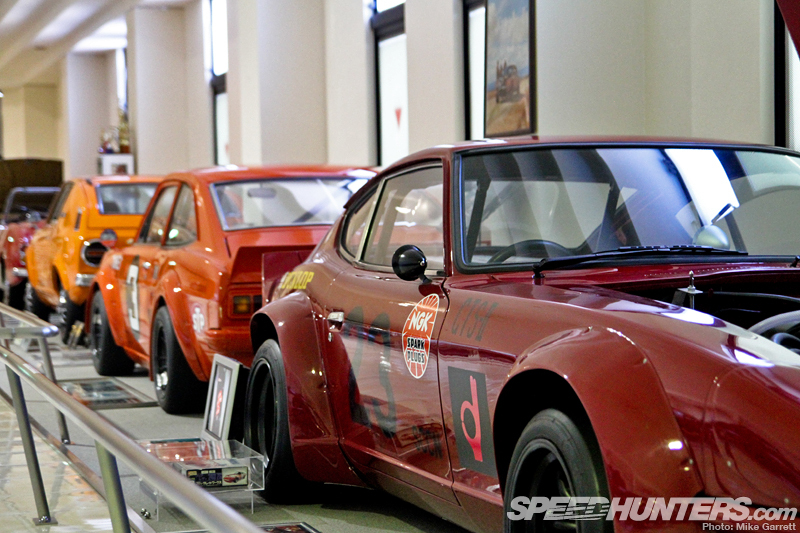 Being a Speedhunter, it was of course the collection of vintage cars that brought me here – but the The Yokota Museum is so much more. 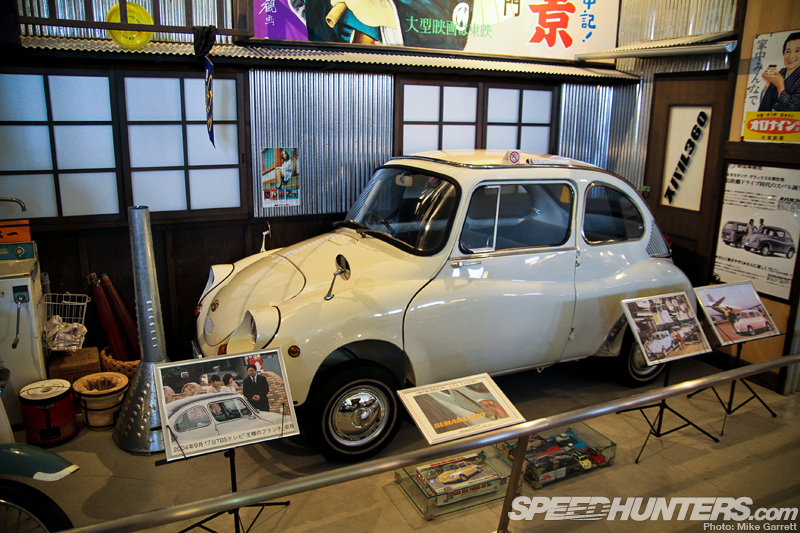 In fact, the official name of the place is the “Ikaho Toy, Doll, and Classic Car Museum” and even that doesn’t properly sum up the fascinating and sometimes strange world that’s found inside. 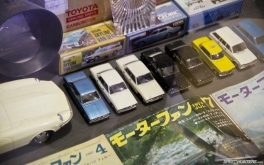 More than anything, the museum pays homage to post-war Japanese culture – the automobiles, toys and dolls are the artifacts used to bring the past back to life. 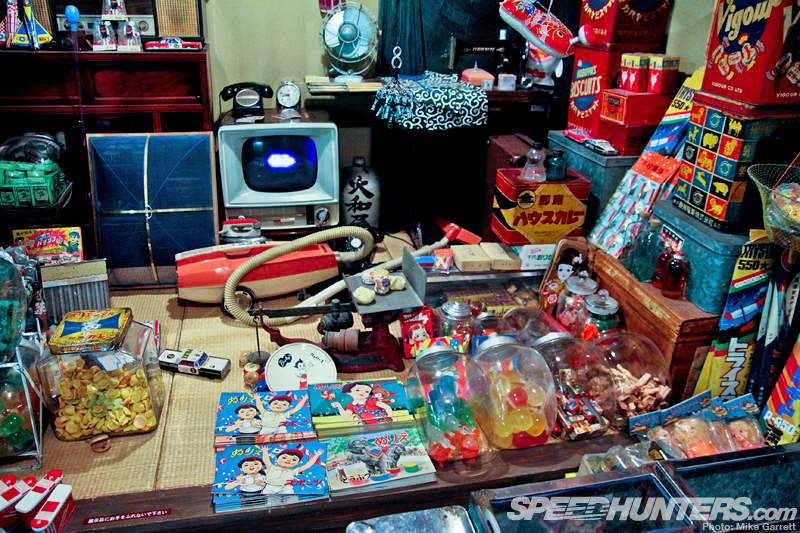 The entire place is full of items that call back to Japan of the ’50s, ’60s, ’70s and ’80s. 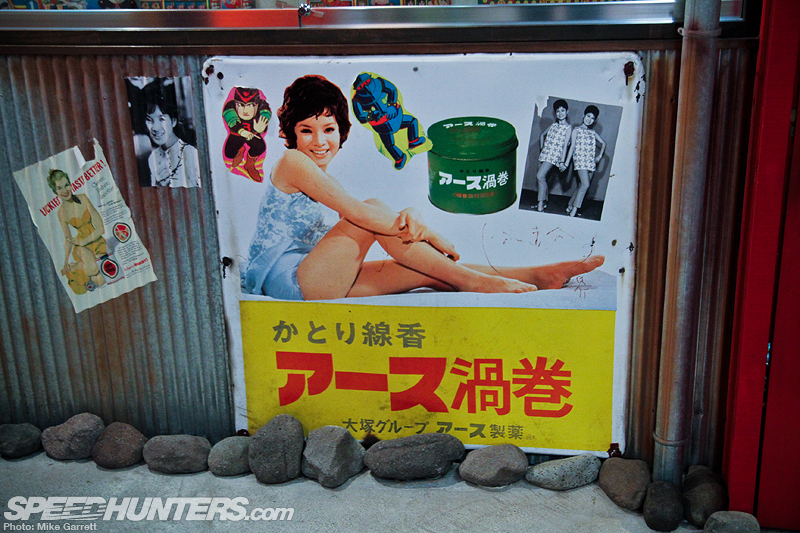 …to photographic tributes to the country’s long line of pop singers and teen idols. 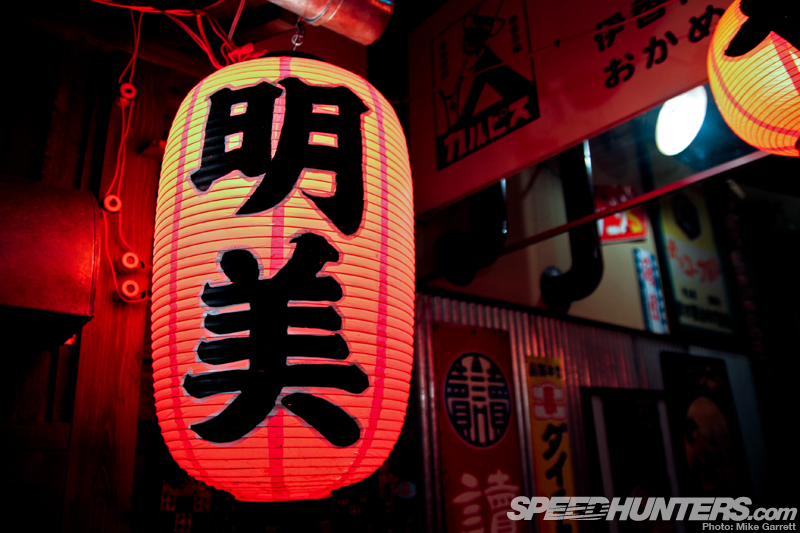 Along with so many other things that tell the story of Japan’s rise from post-war gloom to becoming the economic, technological, and cultural powerhouse it is today. 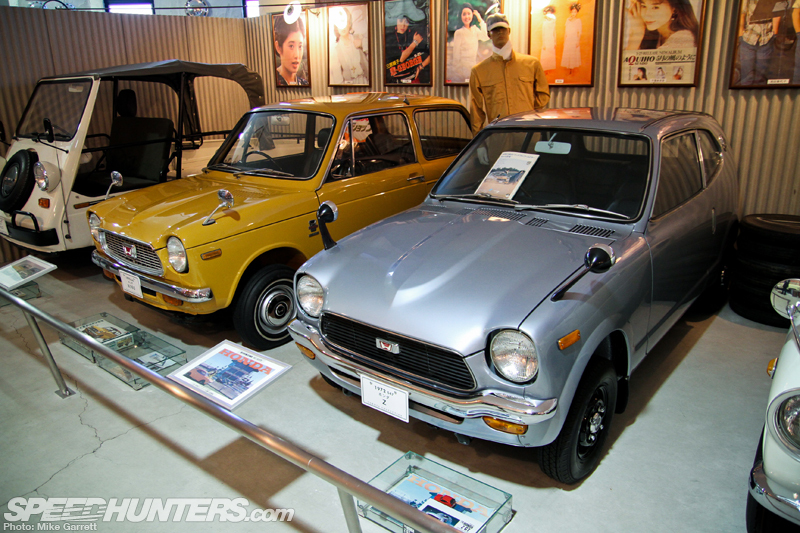 But how exactly did the Yokota Museum come to be? 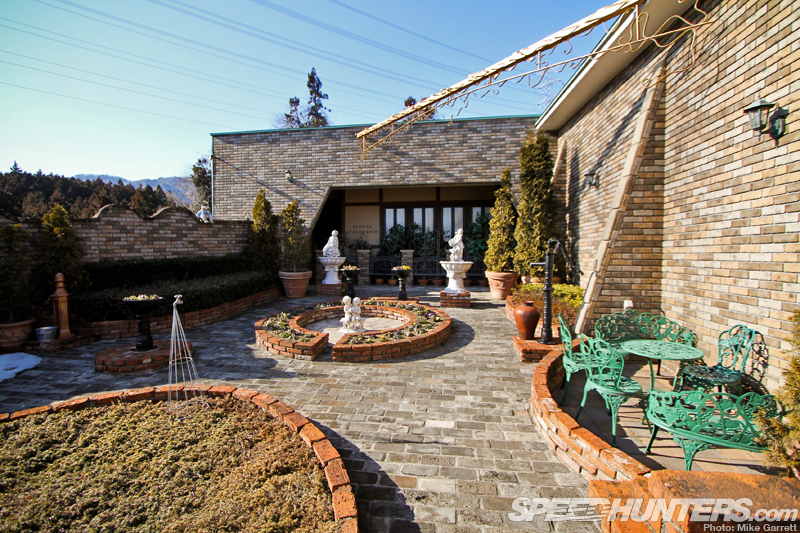 What’s the story behind this nostalgic wonderland in the hills of Gunma? 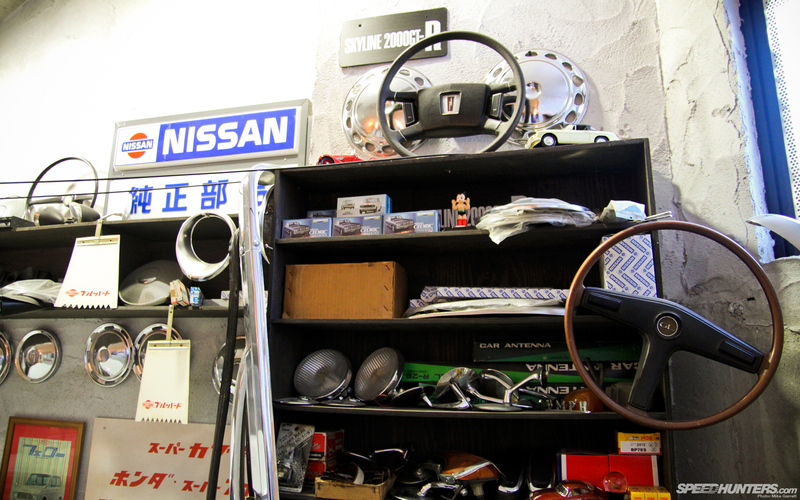 It’s all the work of Mr. Masahiro Yokota, a carpenter originally hailing from a poor working class background. After mastering his craft he was able to have a very successful career as a house builder working during Japan’s massive economic boom of the 1980s. And while he was able to achieve financial prosperity through his career, he never felt fully satisfied. The money was there, but he really wanted to do something that made people happy. After traveling the world and seeing how the economic landscape was shifting in the United States and Europe, he knew Japan’s bubble economy was going to burst. So in 1994 Yokota-san decided to take a leap of faith. 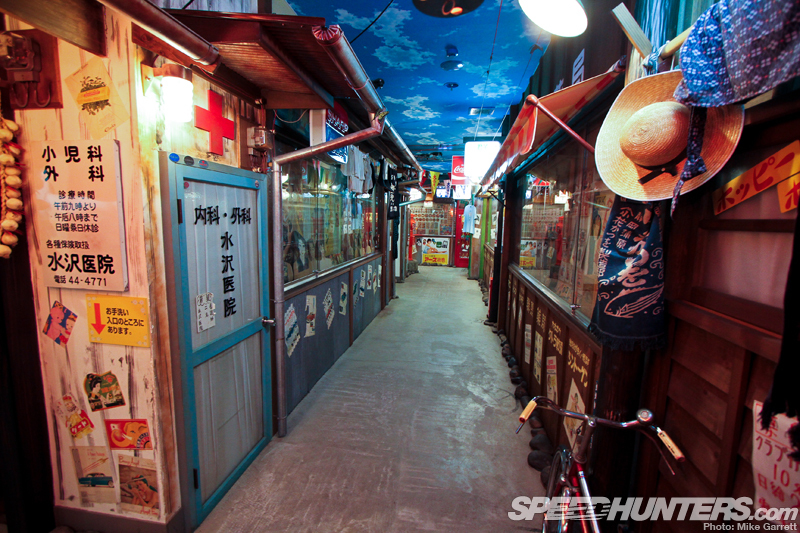 He left his building career behind and created this toy and doll museum. 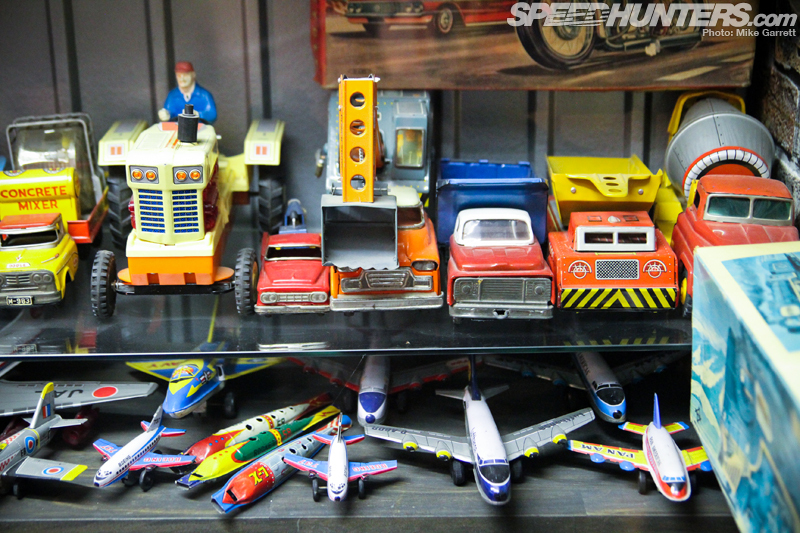 During his years of tearing down old houses and building new ones, he started to amass a big collection of unwanted toys. 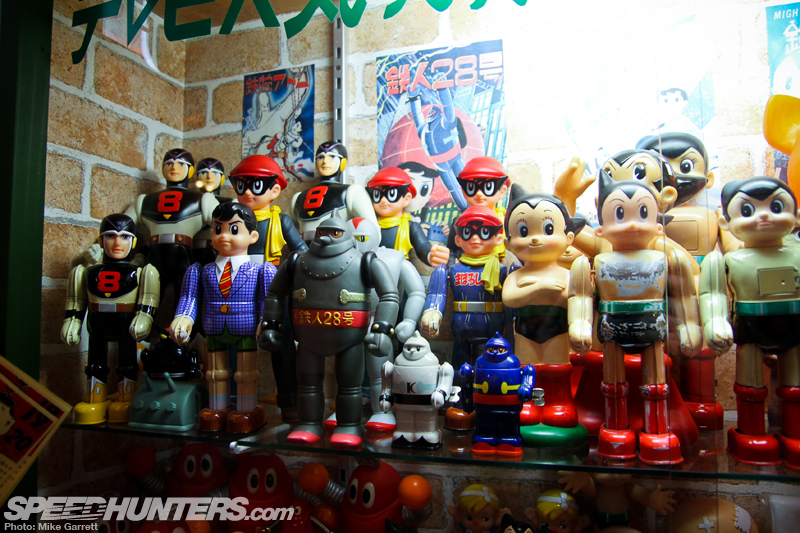 He felt bad seeing them thrown away, and it was this collection that became the starting point for the museum. 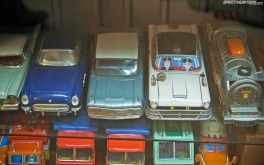 But more than just a display of old toys, he wanted the museum to speak of the era in which they were manufactured and used. This was actually a bit of a risky proposition. 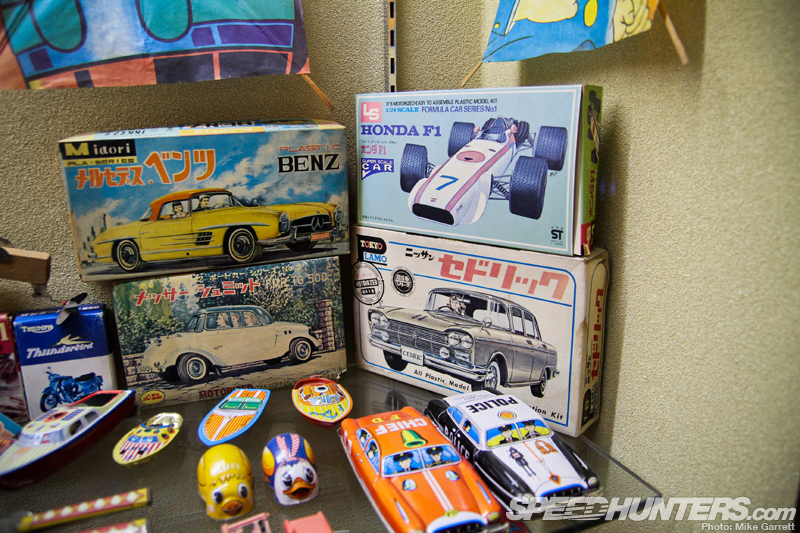 At the time, there wasn’t a whole lot of nostalgia for the Showa period, so the idea of a “modern” museum with toys artifacts from the last couple of decades was unheard of. Not to mention, Japan’s economic bubble had in fact collapsed, just as Yokota-san feared. 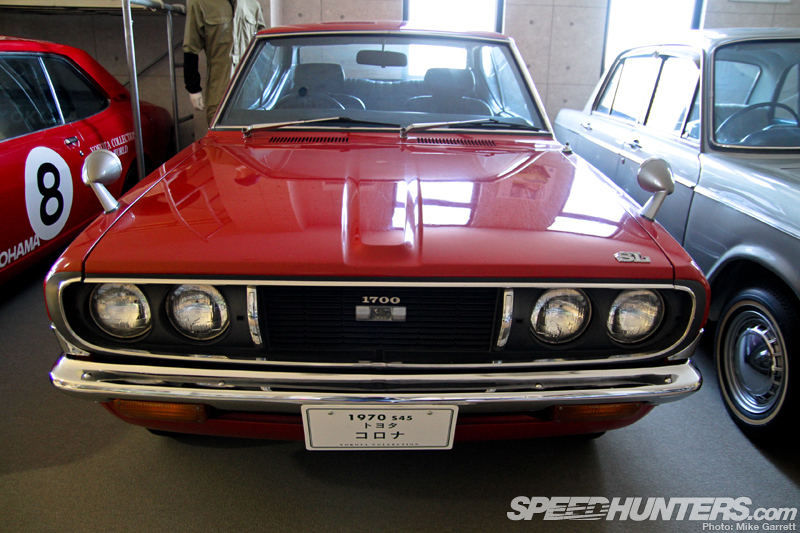 But it turns out there was a demand to travel back to this not-so-ancient period of Japanese history. Perhaps it was actually good timing. Maybe the tough economic times of the ’90s had people yearning to return to a simpler and more optimistic era? 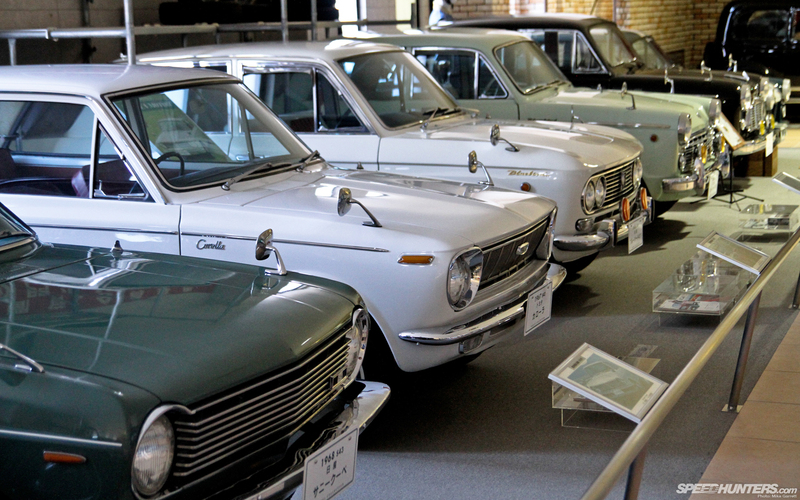 Whatever the case, people from all over Japan were soon coming to Gunma to see Yokota-san’s new museum. He was soon on his way to paying off the massive bank loan he’d taken out to construct and run the museum. 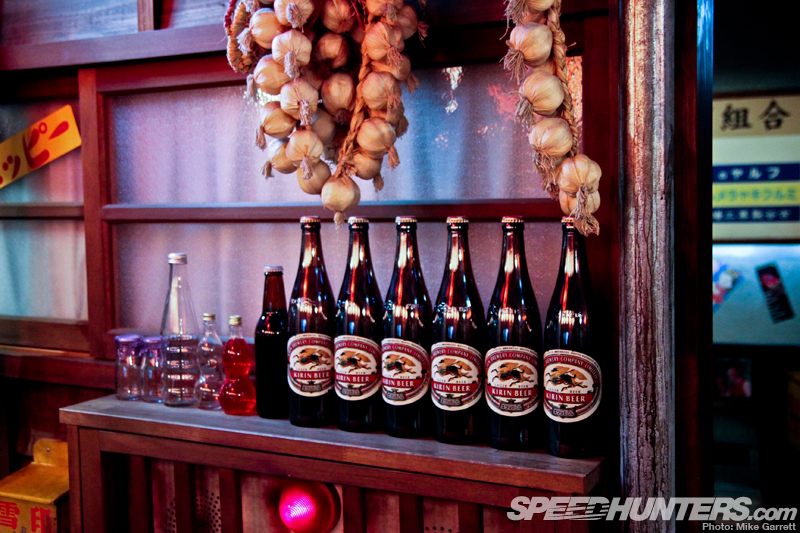 More importantly though, he had accomplished his goal of building something that put a smile on people’s faces. 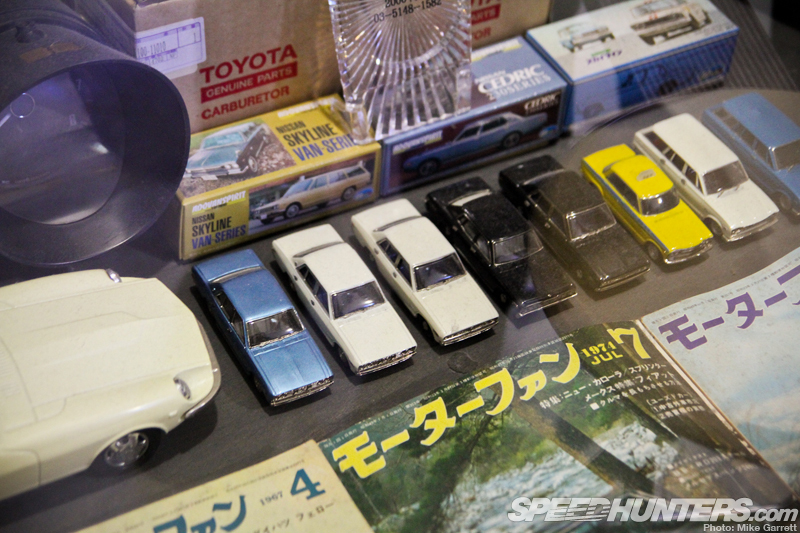 Of course, for me it was automobiles the brought me here in the first place, but to be honest I found the toys and other bits of nostalgia just as interesting. While I can appreciate an ancient temple or traditional Japanese garden as much anyone, it’s really Japan’s more recent contributions to history that led me to fall in love with the country. 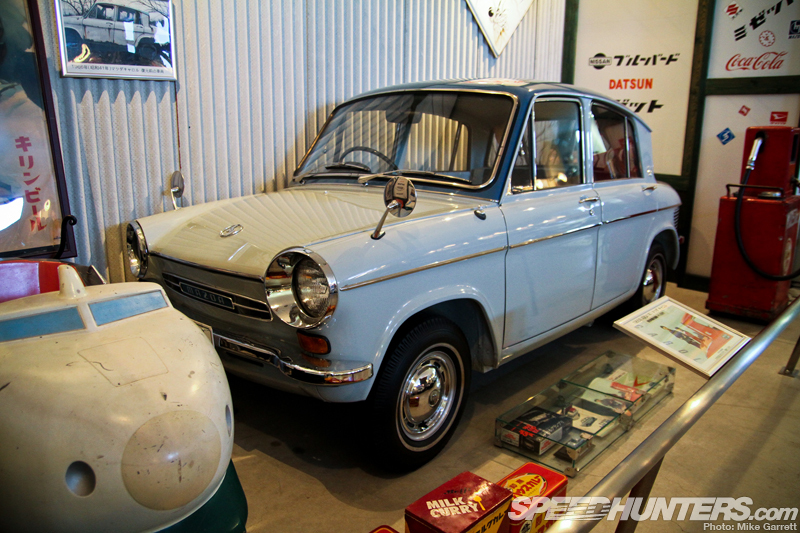 In that sense, the Yokota Museum is an absolutely fantastic place. But what about the cars? 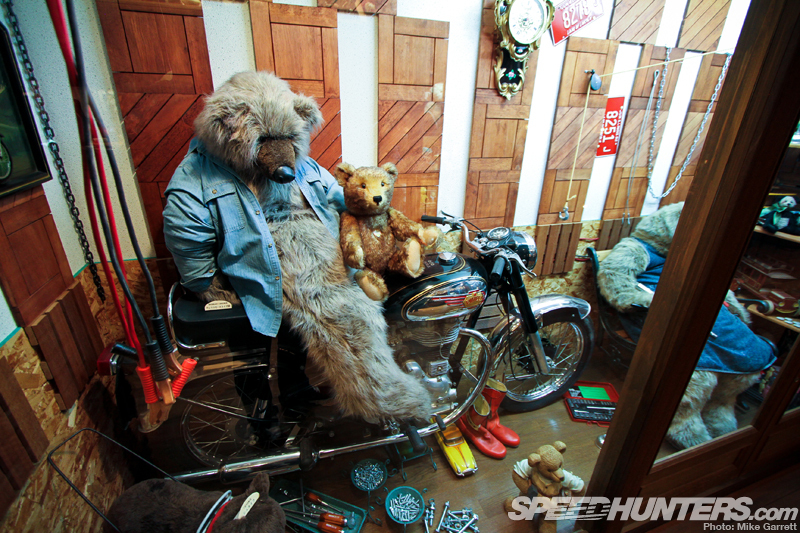 Well, they actually enter the picture a bit later in the museum’s history. 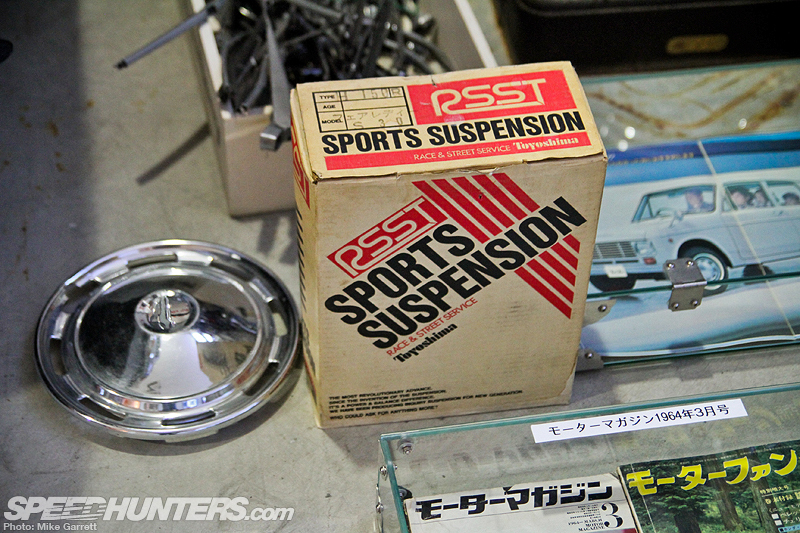 Yokota-san had always been a gearhead, and has owned hundreds of motorcycles. 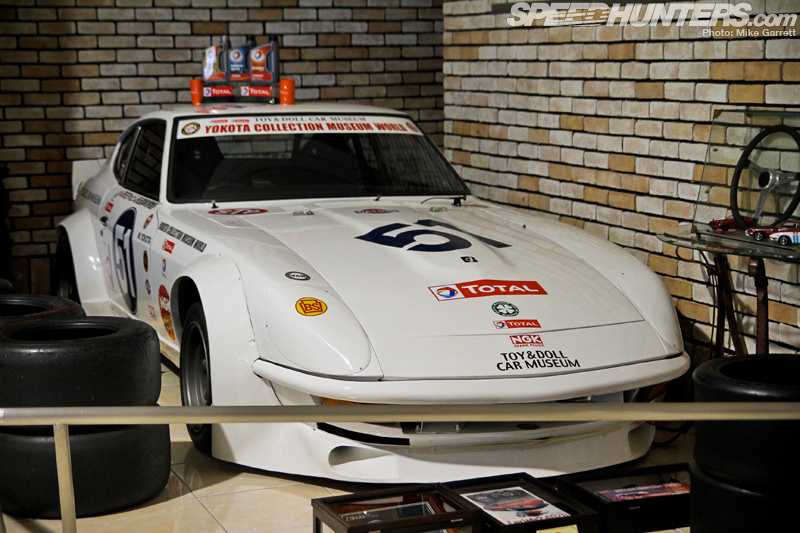 During the height of his business success he drove Ferraris, Porsches, and other high end import cars that were rampant on Tokyo’s streets during the boom years. And while he loved these bikes and exotic imports, he’d never paid much attention to the automotive contributions in his own country. 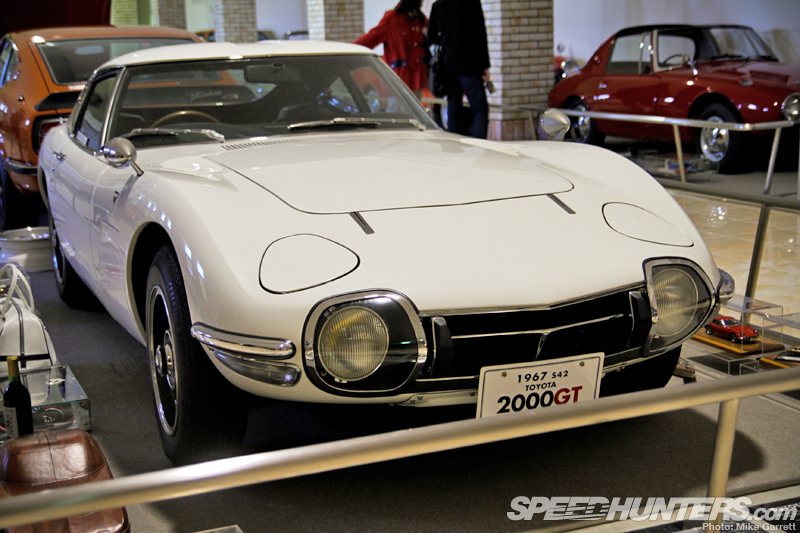 But that all changed when he was in Yokohama one day and first laid eyes on the iconic Toyota 2000GT. 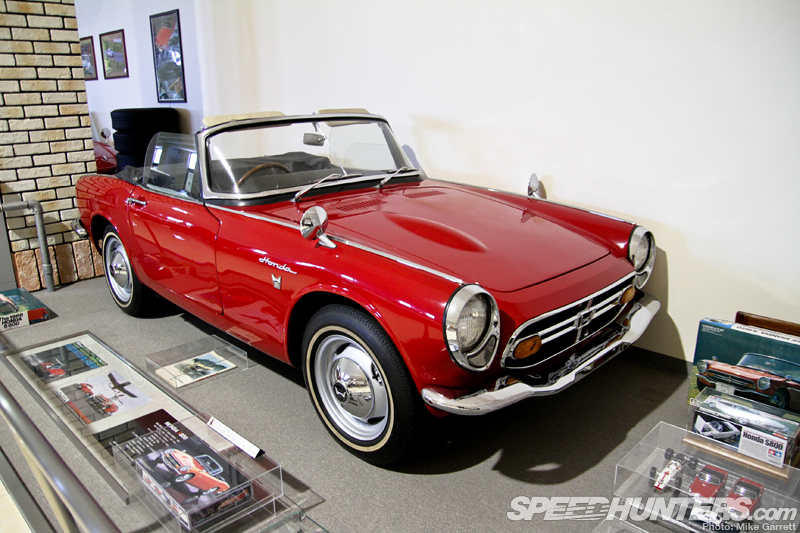 He’d heard of the car as a young man, but it wasn’t until much later in life that he actually had the chance to see one in the flesh. It was love at first sight. 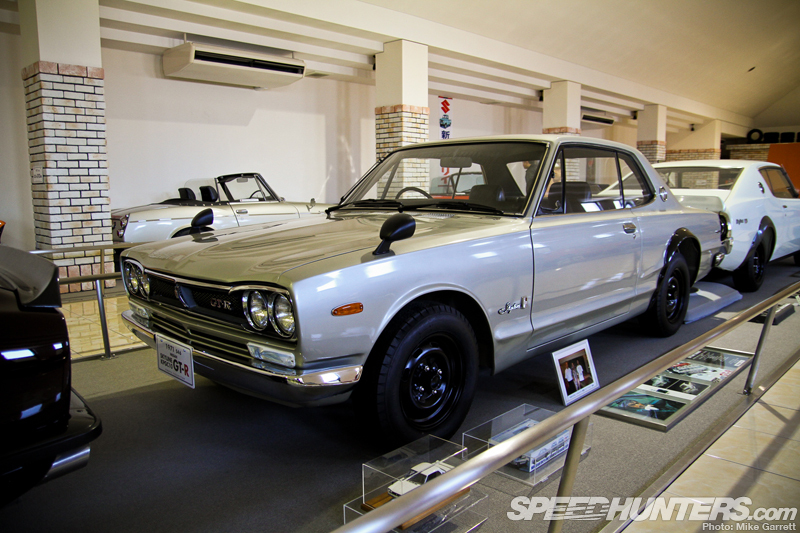 A beautiful, timeless automobile designed and built in Japan. 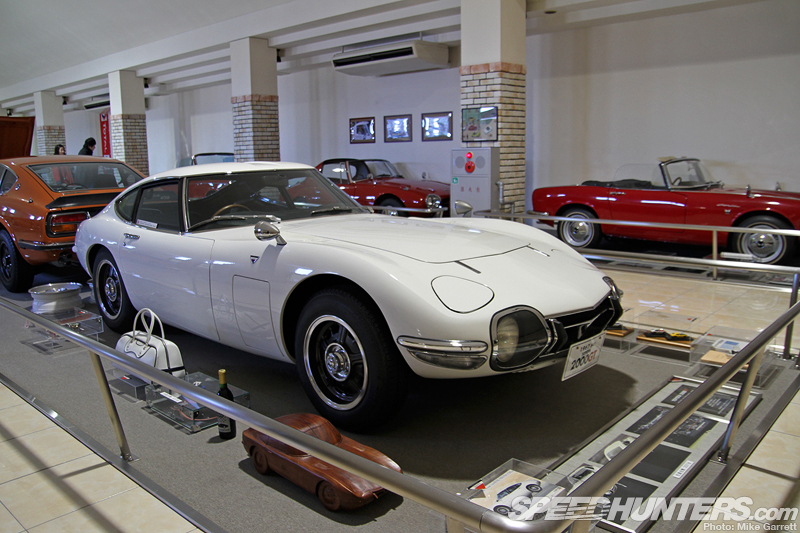 His encounter with the 2000GT ignited a huge passion for Japanese kyusha, and soon his collection was growing to include a number of legendary domestic vehicles from the ’60s and ’70s. 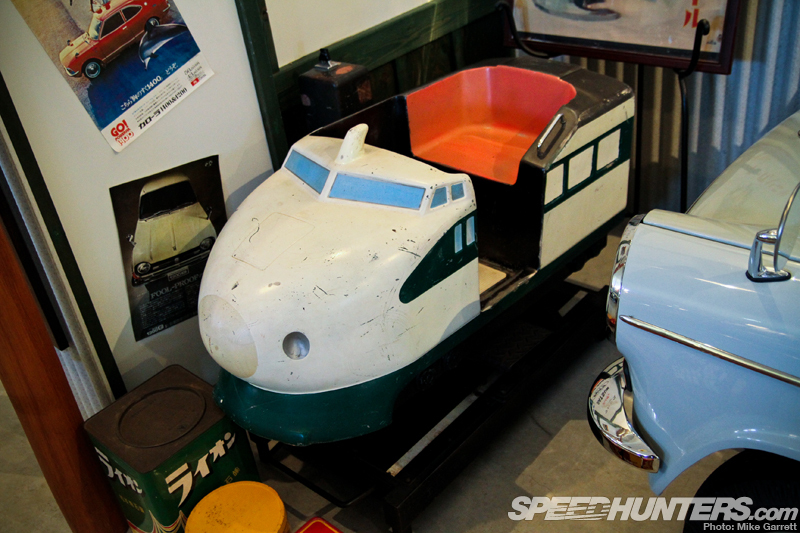 Not only had he fallen in love with these vintage machines, but they served as perfect addition to the museum. 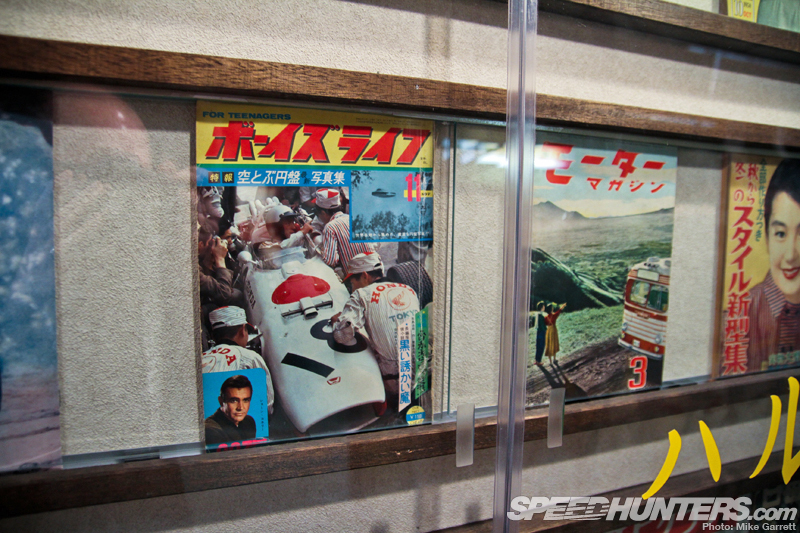 A perfect complement to the assortment of Showa era nostalgia he’d already assembled. So in 2004 the classic car section of the museum was officially opened with a group of 70 hand-picked and fully-restored vintage cars. 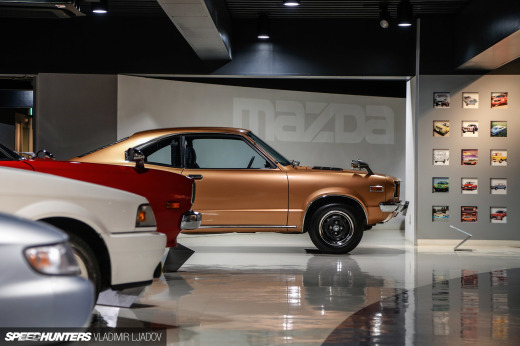 Yokota-san had already found an enjoyable and rewarding way to share his passion for vintage for Japan with the public, and the process of collecting and restoring these cars made things that much better. 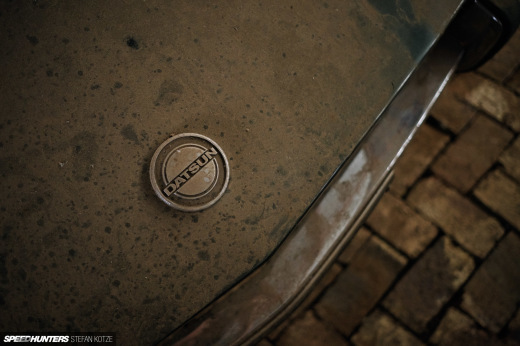 The cars in the collection have all been restored with painstaking authenticity. 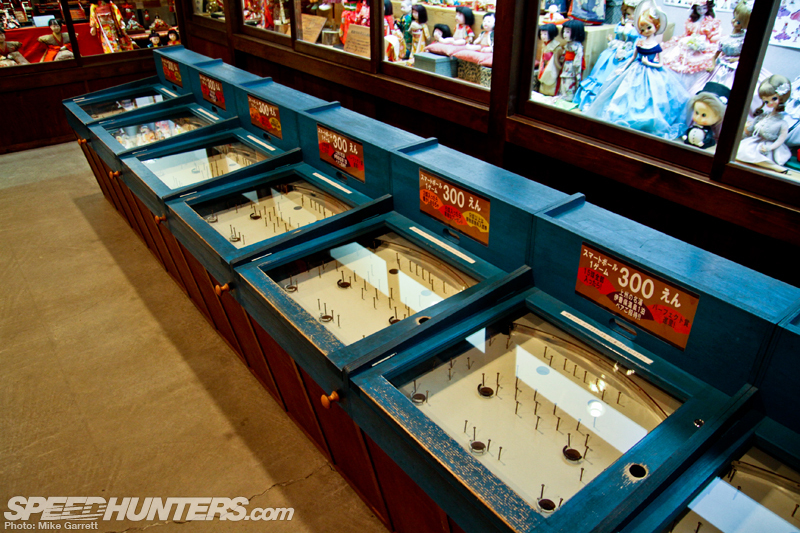 Everything from the original gauges to the period correct bias-ply tires have been accounted for. 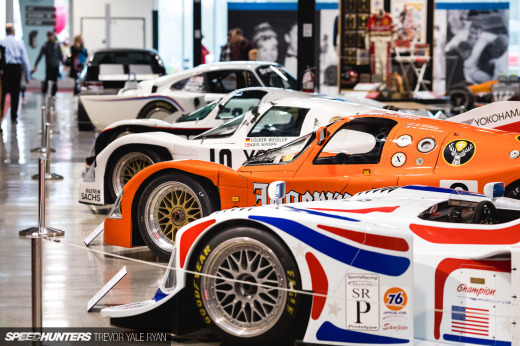 While the majority of the cars in the museum are street models, a number of race cars feature in the mix, too. 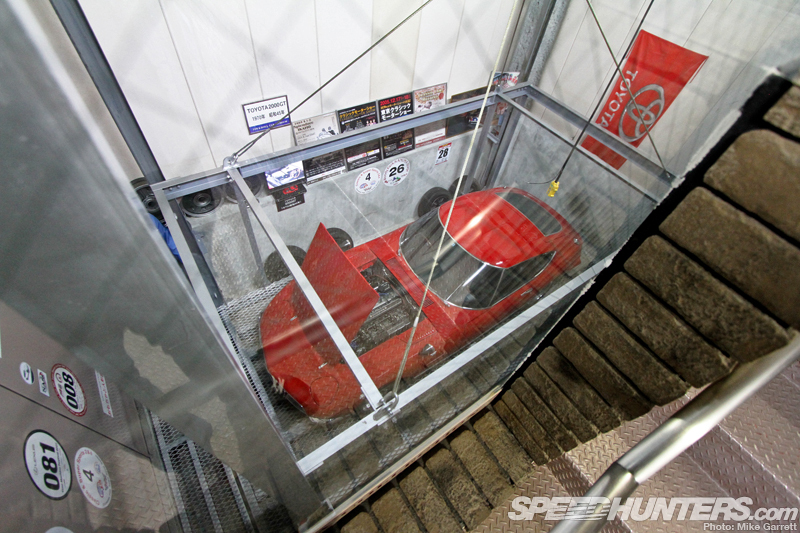 There’s some mouth-watering machinery on display, but I’ll wait until the next post to dig into the cars in detail. 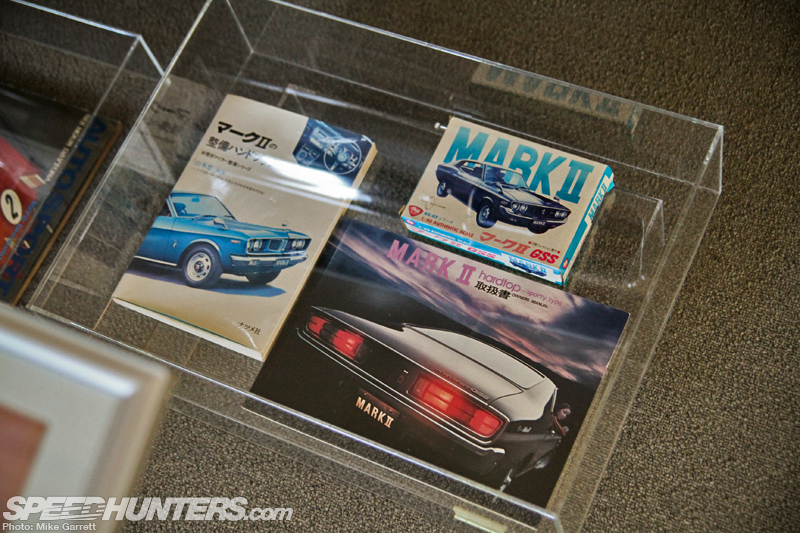 One thing that’s especially cool about the car displays is the way they’re accompanied by artifacts from the period they were built. 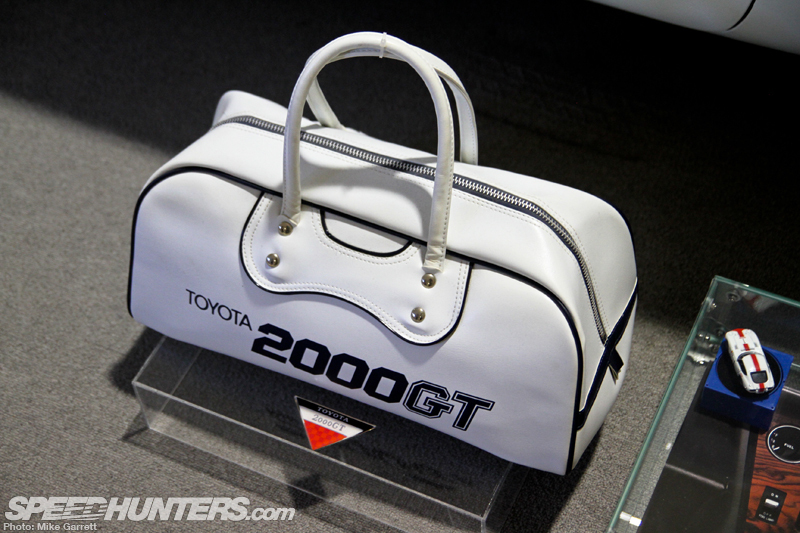 …or promotional items like this cool Toyota 2000GT-branded hand bag. 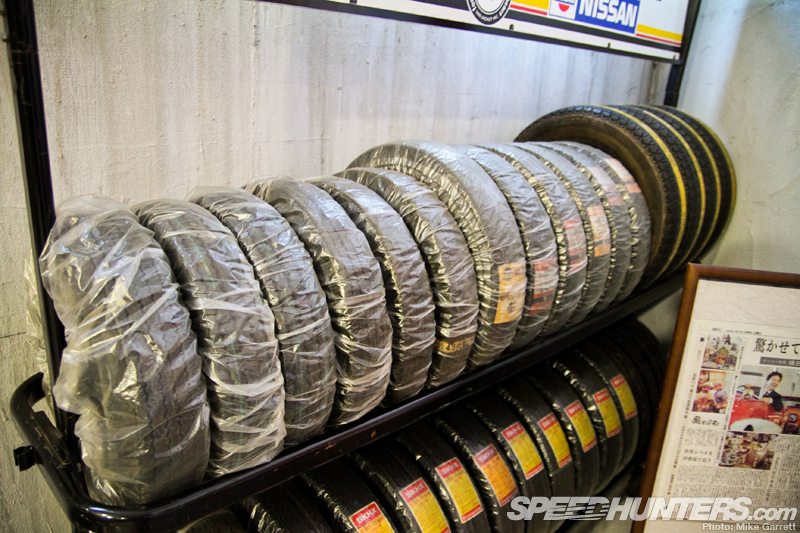 Some of the other displays are even more thorough – here’s a tire rack loaded up with vintage rubber for example. 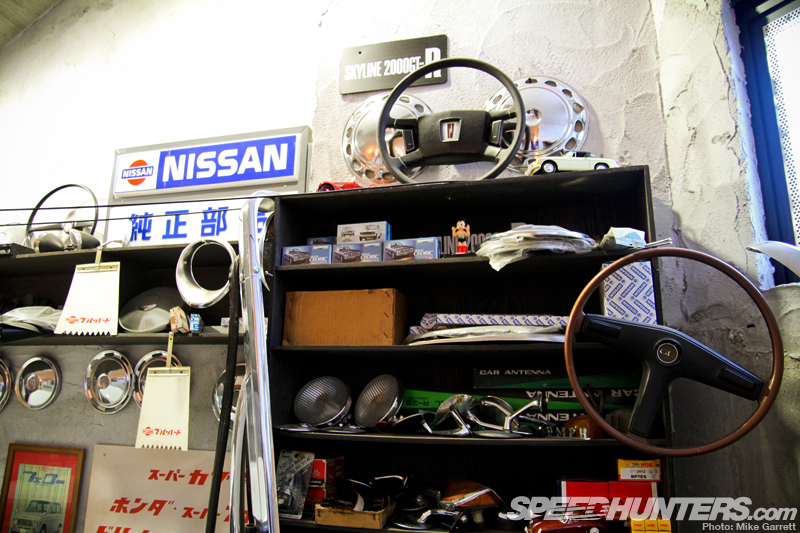 And in another corner, a shelf packed with steering wheels, mirrors, hub caps, and many other cool old car parts. 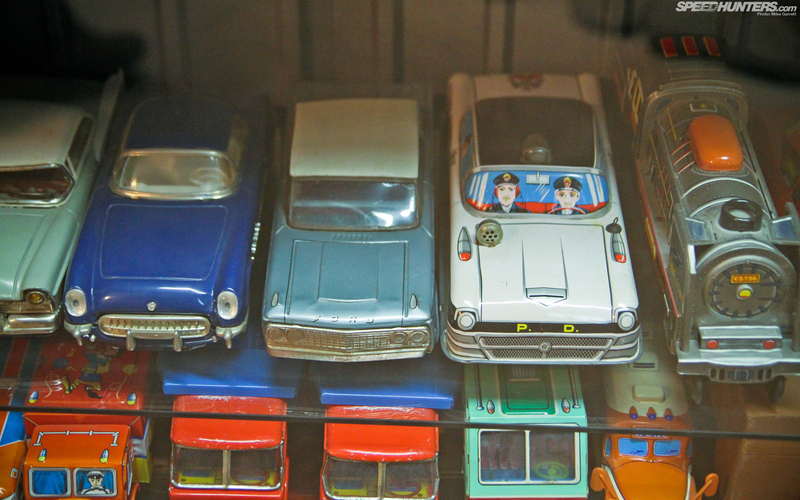 Promotional models, diecast toys, old car magazines – it all makes for so much more than just a collection of old cars. 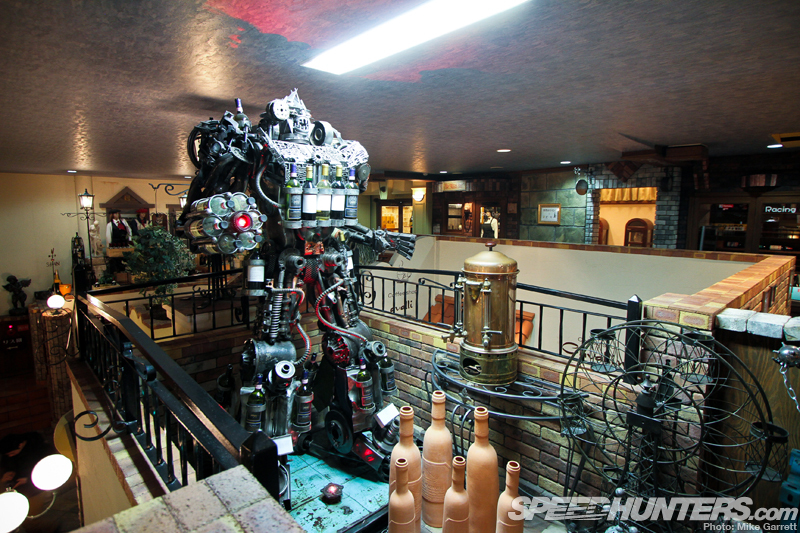 …which includes this bartender of the future. 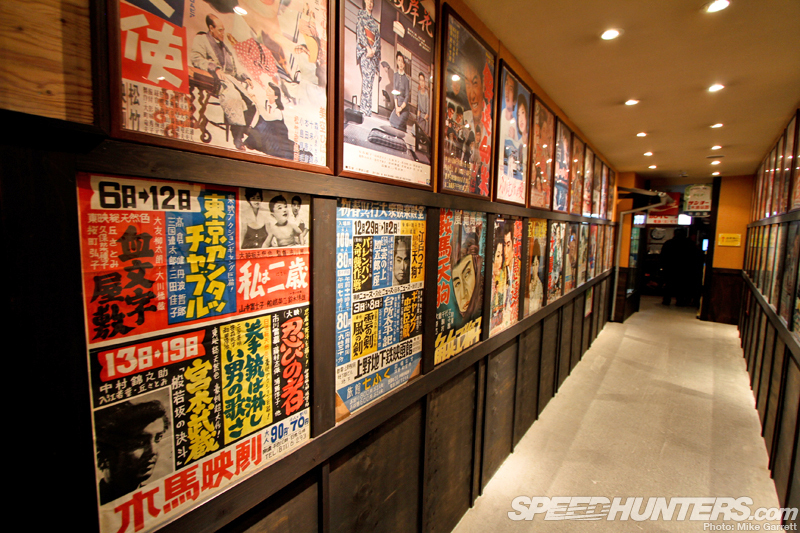 Admission to all of the displays are part of the modest 1,050 yen (about $10) admission fee. There’s even an outdoor area that includes a squirrel habitat. To use the old cliche, it’s fun for the whole family. 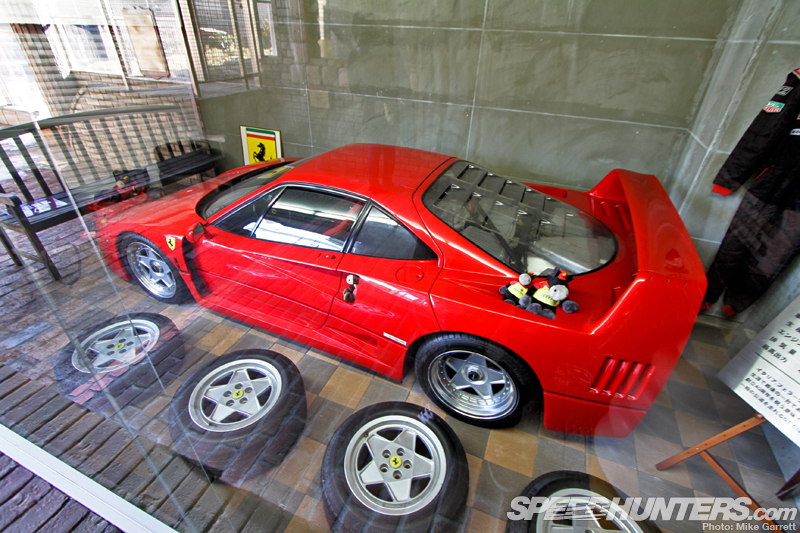 It also happens that the squirrel area sits directly across from Yokota-san’s Ferrari F40. A bit surreal, but it’s all part of the experience. 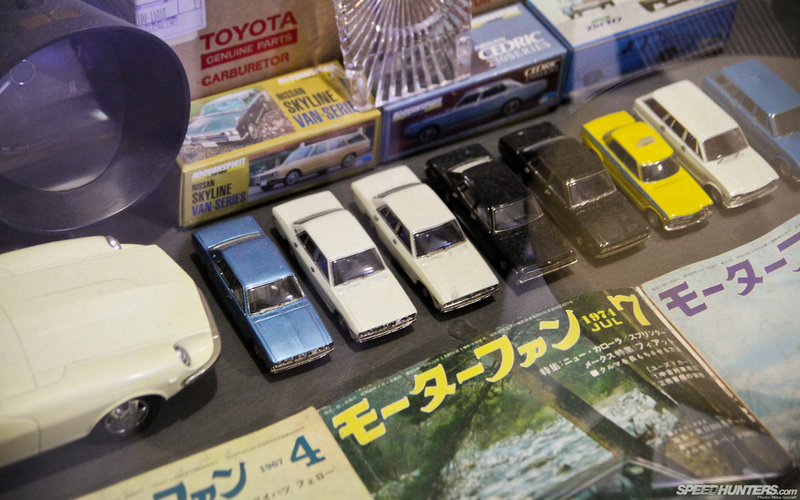 The Yokota Museum made me nostalgic for a time and place decades before and half a world away from my own youth – something I’d say speaks of its effectiveness. 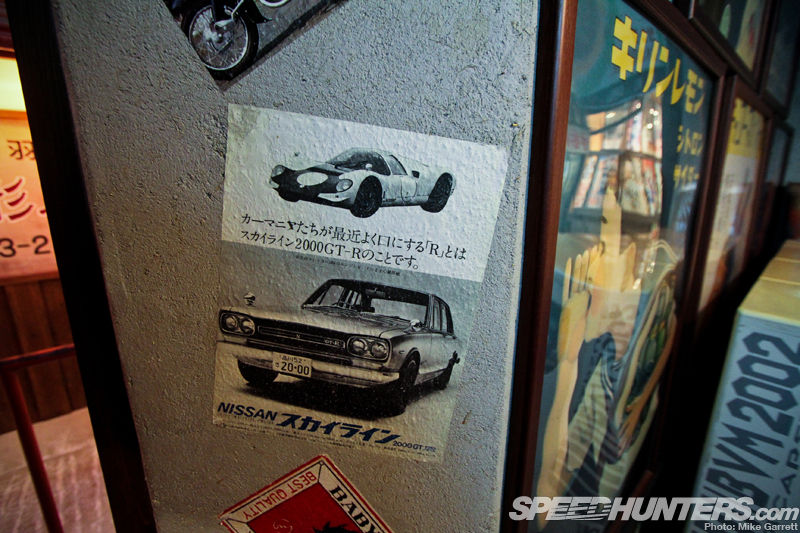 Judging by the young and old faces I also saw enjoying the vintage atmosphere, it’s safe to say Masahiro Yokota’s dream has become a reality. 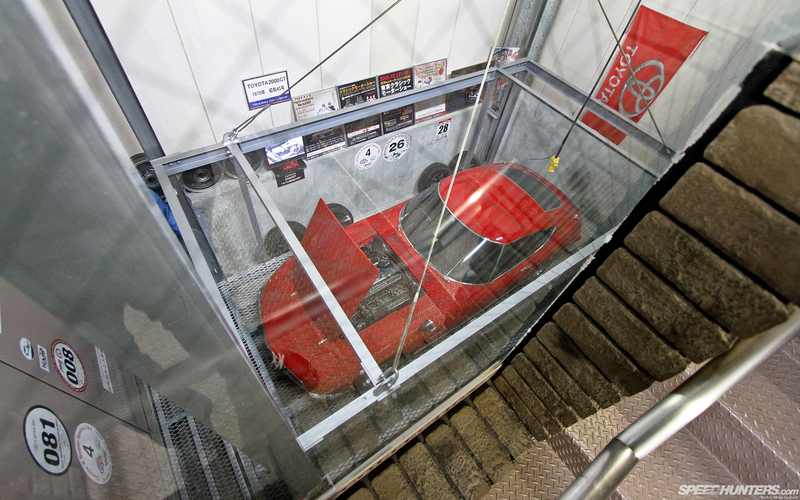 Next time I’ll return with a closer look at the machinery that calls the Yokota Museum home. 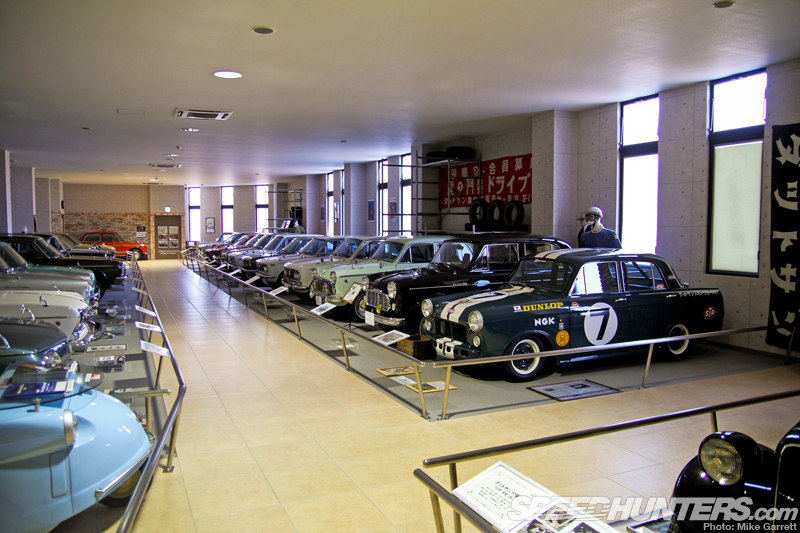 wow nice place , from shibukawa station how did you go to the yokota museum by taxi or bus ? and about admission is free ? Great post! Thanks for all the info. We are going to Japan soon and will definitely put this on our agenda as my husband is a car nut. We have a 6 year old and a 1 year old. Would they like it? 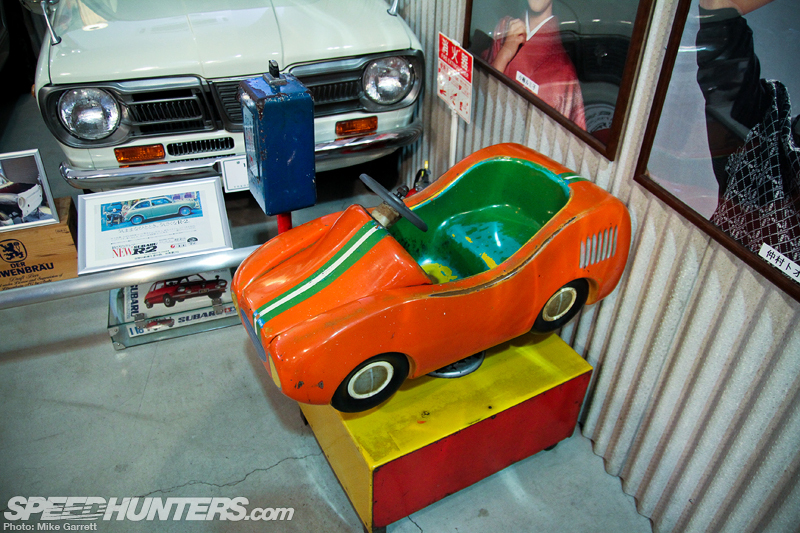 Is there anything for the kids to do there/play with there or is it just a toy museum?